Moot Court is more than a competition, it’s preparation for life as it challenges your intellect, your oral advocacy skills, and your ability to connect with individuals in a professional atmosphere. Patrick Henry College once again swept the national competition in intercollegiate moot court, winning its twelfth intercollegiate moot court national championship in Orlando, Florida. In addition to winning first place, PHC finished with three teams among the top eight in the nation. PHC speakers also won four of the top 20 speaker awards. Competitive debate motivates students to exceed the bare minimum of knowledge, and builds the ability to articulate and defend a position against repeated attacks. Because of its rigorous and effective approach to education, forensics at PHC are not extra-curricular but co-curricular, a fully-recognized and vital element of PHC Academics. Meet Your 2016 WORLD Champions! 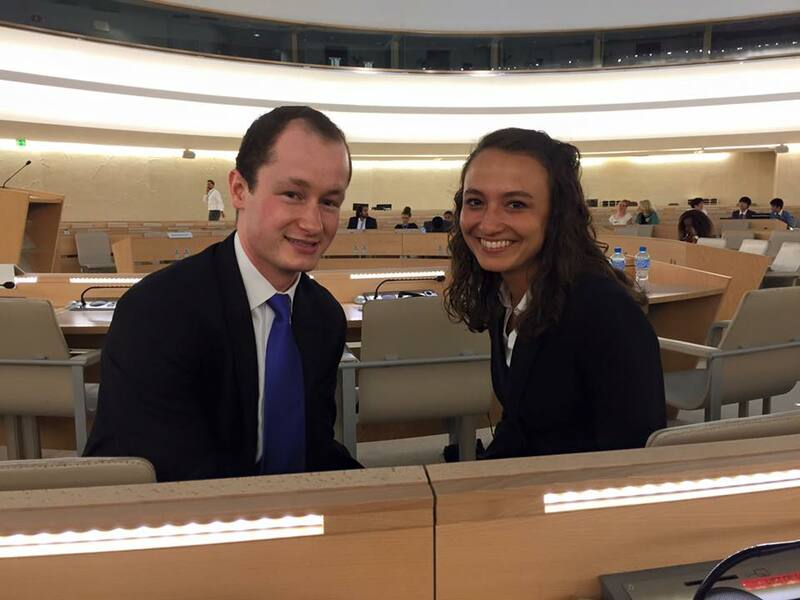 Rising seniors William Bock and Helaina Hirsch, coached by Michael Farris, Chancellor of Patrick Henry College, won the 8th Annual Nelson Mandela World Human Rights Moot Court Competition on July 20, 2016 in Geneva, Switzerland—a leading human rights educational event. The final round of the competition, sponsored by the Centre for Human Rights, of the University of Pretoria, South Africa, was held in the UN Human Rights Council Chambers. On Friday, January 27, 2017, Delegate Dave LaRock honored William Bock and Helaina Hirsch, along with PHC Chancellor Emeritus Michael Farris and President Jack Haye, with a center aisle presentation on the Virginia House floor for their victory at the Nelson Mandela World Human Rights Moot Court 2016 Championship. Moot Court is an outstanding opportunity for students to experience the practice of Constitutional Law first hand. 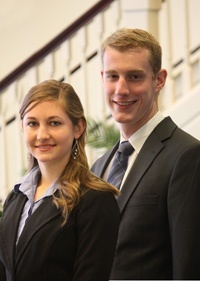 Patrick Henry College competes in the American Collegiate Moot Court Association (ACMA) under the tutelage of coach Dr. Michael Farris and several former national champions from Patrick Henry College. With twelve championships in the past thirteen years, the College’s moot court team is one of the most successful in the nation. 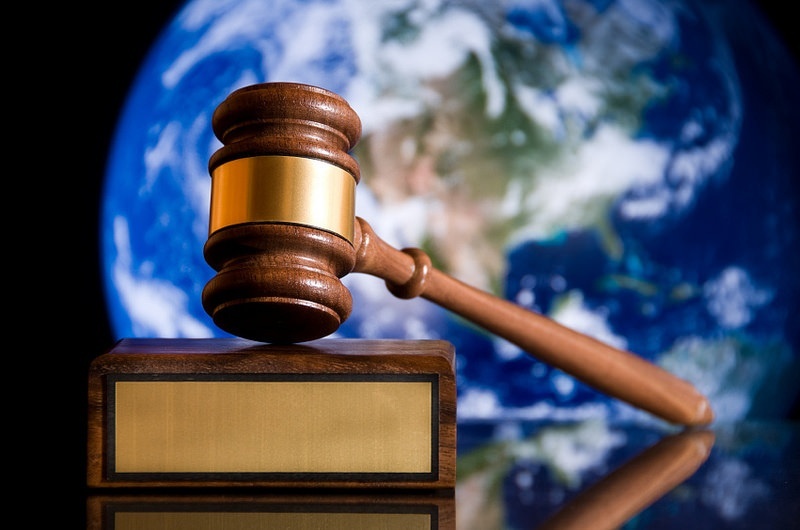 Why Participate in Moot Court? Moot Court provides an opportunity for students to explore Constitutional issues under the leadership of Dr. Michael Farris, PHC Chancellor emeritus, who has co-coached PHC’s national-championship moot court teams. Moot Court, a traditional law school activity now growing in the undergraduate arena, prepares students for the rigors of arguing a case before the United States Supreme Court.